This weekend was a busy time out on the trail for candidates and Republican political organizations. With less than 100 days to go to Election Day, folks are starting to get fired up! As we do every Monday, let's take a look around Facebook to see what some candidates and organizations have been up to. 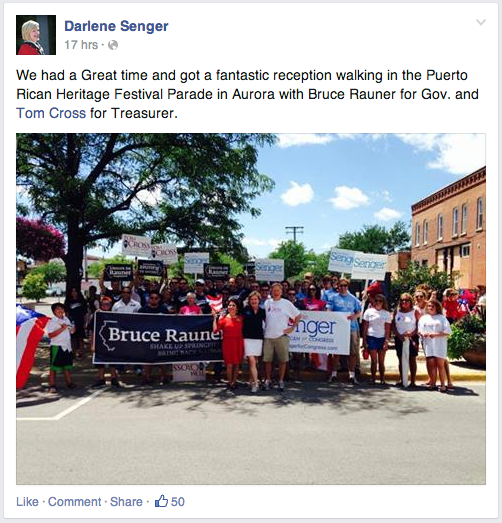 First up, Congressional candidate Darlene Senger walked along with Illinois State Treasurer's candidate Tom Cross and Gubernatorial candidate Bruce Rauner out in Aurora at the Puerto Rican Heritage Festival Parade. 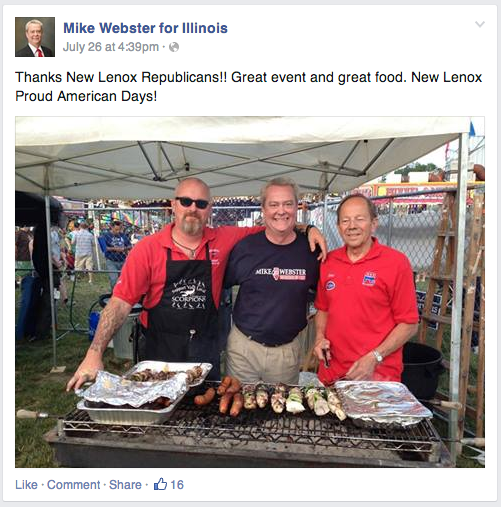 Illinois Secretary of State candidate Mike Webster stopped in New Lenox at Proud American Days and lent a hand at the grill with the New Lenox Republican Organization. 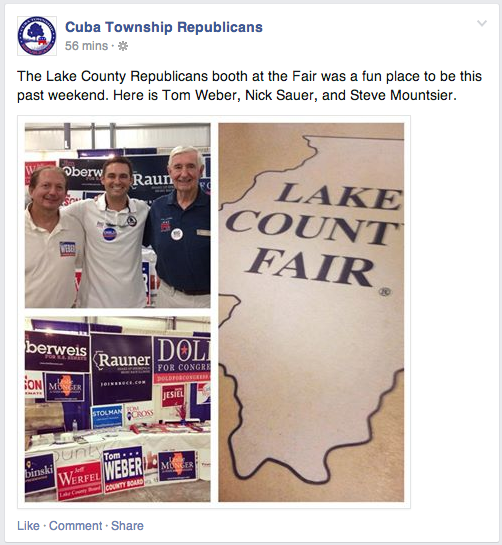 Tom Weber, Nick Sauer, Steve Mountsier from Cuba Township helped man the Republican Booth at the Lake County Fair. 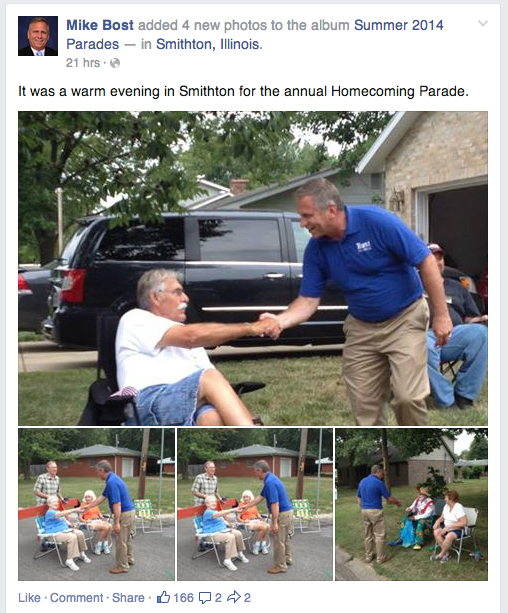 Congressional candidate Mike Bost shook some hands out in Smithton at their Homecoming Parade. 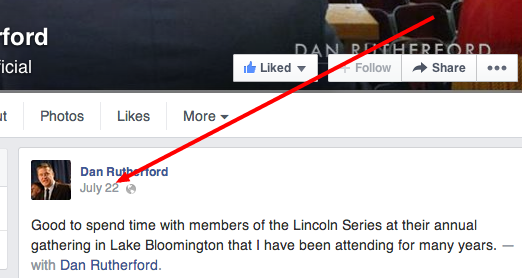 And...For the third weekend in a row, State Treasurer Dan Rutherford didn't post anything about his whereabouts over the weekend. Bummer.